Cold brew coffee is popular currently- but did you know you can make iced tea without hot water? 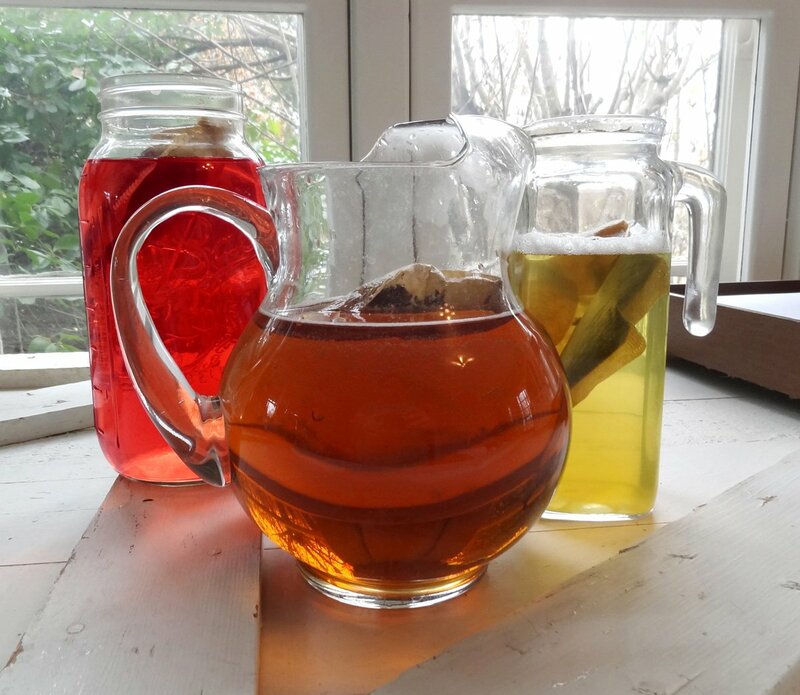 Cold Brew iced tea takes about a day- or at least overnight- but is a simple way to always have tea on hand without having to boil water. Just fill your pitcher with water, add tea bags as directed or to taste, dunk, and let steep 12-18 hours. I add regular white sugar to mine when I start the process and after a day of sitting in cold water it’s usually ready to dissolve into the cold tea with just a bit of stirring. This works great with every type of tea I’ve tried. We especially like combining 2 regular iced tea bags with 1 or 2 teabags of Celestial Seasonings Country Peach Passion Tea. Peach Passion makes amazing herbal caffeine-free peach iced tea alone, but mixed with regular iced tea tastes just like a copycat recipe of the Olive Garden’s Peach Tea, with a caffeinated leg-up on the plain herbal tea version.